I'm a life long gamer from long before the term "gamer" even existed. In fact the entire business of video games was so new when I was growing up people couldn't even agree on the semantics when portable systems like the Nintendo Game Boy were launched. Were games not displayed on a monitor or a TV screen a "video" game as such? Should they be called "portable" games instead? When accessories such as the Super Game Boy came out the definitions only became harder. Now you could play your portable games on a NON-portable system hooked up to your television. While these debates raged on amongst consumers and writers, I was simply content to enjoy my first (and to that point only) Nintendo system in the Game Boy - up until the point it was stolen anyway. For those few years that I had the Game Boy though, my love of Nintendo's games grew on a deeply personal level. Before I had always had to rent a Nintendo for the weekend just to play a few games (and subsequently try to beat them in just a weekend if possible), or get a friend to let me play theirs, and you can believe I had a mental address book that not only had checks next to who had Nintendo but what games they had. Of course kids as we all know can be assholes. I had one friend who would always insist "When I die it will be your turn" and then would proceed to play The Legend of Zelda. Two hours later I'd still be waiting for "my turn." He knew what he was doing, I knew what he was doing, but I had to sit there and go along with it. Such is life. My GOOD friends would pick a two player game like Contra where we could run and gun together - but I digress. With a Game Boy I never had to wait for my turn. It was ALWAYS my turn, and best of all, as long as I had a power adapter or charged battery pack, I could play anywhere I went (to the dismay of some of my teachers). Once personal computers were powerful enough to emulate systems like NES, Super Nintendo and Game Boy, college was LIT for me. I would eventually get a Sony PlayStation and skip about a week of classes playing Final Fantasy VII, but up to that point I was revisiting an important and up to that point unfulfilled part of my childhood. I was playing the games I never got to own, the games I did own but never got to beat (robbed before I could finish them), and the games I had only heard about but had never even seen before. I even bought a clunky Gravis GamePad just so I could play emulators while using something resembling an authentic Nintendo controller. Ultimately I would go on to collect hard copies of those same games I had been playing thanks to stores like FuncoLand, but Nintendo gave us other opportunities to play them via Virtual Console on the Wii, the 3DS, and the Wii U. At first I was completely down with this since I liked the convenience of being able to play these games on my consoles any time I wanted without pulling out a cartridge out of my collection, but over time I became disenchanted when these games did not port from one system to the next even though your Nintendo login did. You had to buy them all over again even though Nintendo could easily see you had purchased them before. The Wii U offered a small workaround in that you could do a "system transfer" which would blank your Wii, but even then you'd have to run them in a "Wii emulation" sub menu instead of from the home page of your console - hardly a smooth process. If you wanted the convenience of immediate access, shelling out the money was your only choice. Even the process of transferring itself is a chore. Here's the deal - as a lifelong Nintendo fan I've already fully committed to the Switch. I've got a launch day system pre-order, a set of pre-ordered games, and all of the accessories I could need. I'm already excited about the concept and have been from the jump - a true hybrid of their portable and their console lines - giving you the power of home console gaming with the convenience of taking it with you wherever you want to go. 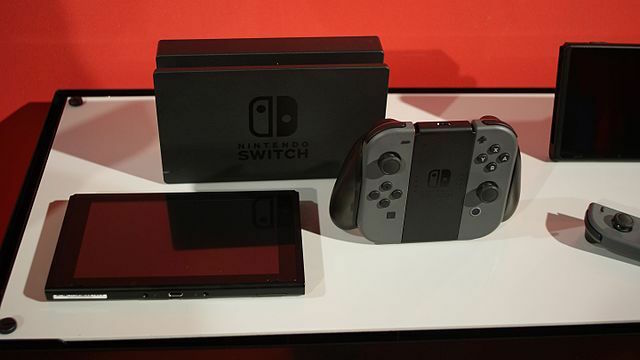 There are some concerns about the battery life in portable mode (possibly as low as three hours for Zelda level games) but that could still be enough for casual gaming sessions with friends, and if you were going to play something in depth like Zelda you'd probably want to dock the Switch to your TV anyway. That doesn't kill my buzz. On the other hand, if Nintendo expects us all to shell out for classic/retro/old school games for a FOURTH time just because we've made the switch (pun intended) to their latest system, I'm not too thrilled with the prospect. I get it from a business standpoint that you make a buck wherever you can, and they certainly can by delving into their nearly 40 year history of video games from arcades to home consoles, as well as licensing games from other companies to play on what's essentially an authorized emulator. At the end of the day that's all the Virtual Console is - a front end for an emulator. In fact in some cases they simply recycled already available ROM data (the code on cartridges emulators used) instead of taking the time to dump their own intellectual property properly. I don't fault them for selling what's their own right to sell, but it seems awfully lazy to let the home enthusiasts do the work for you. Here's my bottom line for this whole editorial - I've bought some of these games well more than four times now. I bought a physical hard copy (cartridge), I bought a portable copy (GameBoy Advance), I bought a Virtual Console copy (Wii) and I even bought a compilation with the games grouped by manufacturer or character (Kirby's Dream Collection on Wii, Mega Man Legacy Collection on 3DS, et cetera). I'm not saying there's no chance I'll ever buy a collection again if it's not well enough packaged. After all the NES Classic Edition was a good value - 30 games for $60 in one box. The problem is Virtual Console games aren't priced that way. Unless they're on sale even 30+ year old NES games are $4.99 and up. You can only justify owning the same game in multiple formats until you finally say to heck with spending any more money on it. The Nintendo Switch NEEDS to reward the loyalty of their customers, especially those who stuck by them through the relatively lackluster period of the Wii U, and make previous Virtual Console purchases available for a free download on the new system instead of having to buy them all over again. Are they likely to do that though? Probably not.